1. Login to your website’s WordPress administration area and click on “plugins”. 3. Click on “Install Now” to install the plugin. Once the plugin is installed, click on “Activate plugin“. 4. Once the plugin is installed, go to “Settings” and click on “Conversion Support”. 5. 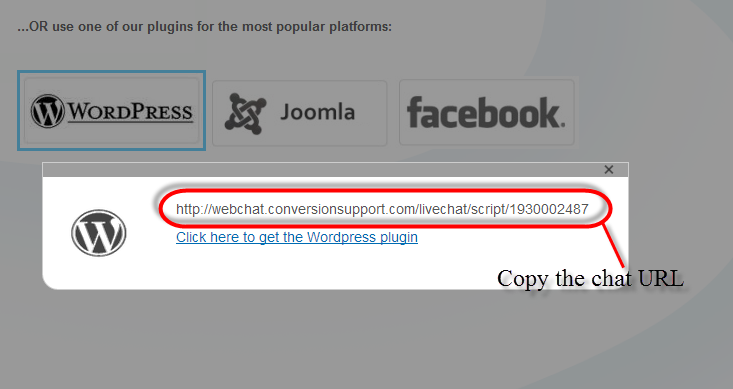 To activate Conversion Support’s Live Chat software, you need your “Conversion Support chat URL” from your Conversion Support account. 6. Fall back to your website’s WordPress administration area, click “Settings”, choose “Conversion Support” and paste the URL in the “Your Conversion Support Chat URL” box. 7. Next, click on “Save Changes”. Congratulations, You’re done with the installation and successfully installed Conversion Support’s WordPress plugin. 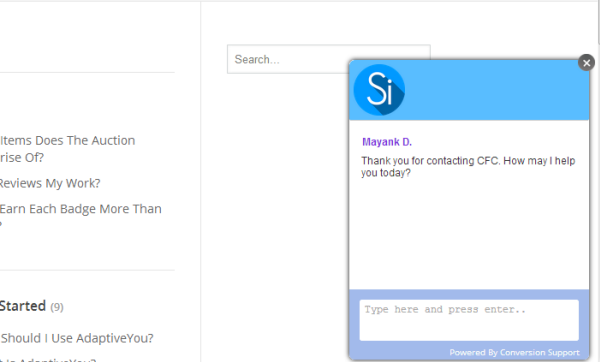 Now, start taking chats from your website visitors, in no time. Need help in installing the WordPress plugin on your website? Please contact us or write to us at support@conversionsupport.com and we will get back to you.